Whether you're a fitness junkie or still trying to figure out how to properly use an elliptical, you've probably heard of (or even own) a protein shaker. After a while, you may find yourself getting sick of your usual recipe and want to "shake" things up a bit. Being in college, you may be short on space or an appliance budget and not everyone owns a blender. All of these recipes can be made in your protein shaker, no blender necessary. Overnight oats are most commonly made in a mason jar, but have you ever considered trying them in a blender bottle? You can just take your oats to go (no spoon necessary). You'll never have to worry about not having time to eat breakfast before your 8 a.m. again. Just remember to add a little extra milk so it's more liquidy. While we're on the subject of early mornings, you can kick up your shake with some caffeine. This recipe is pretty easy. Make your iced coffee as you normally would and add a scoop of protein powder. Keep in mind that your protein powder may add sweetness, so you might want to scale back on the sweetener. Coconut Lime Shake The semester's almost done. We're halfway there! If midterms have you down, try a coconut lime shake. 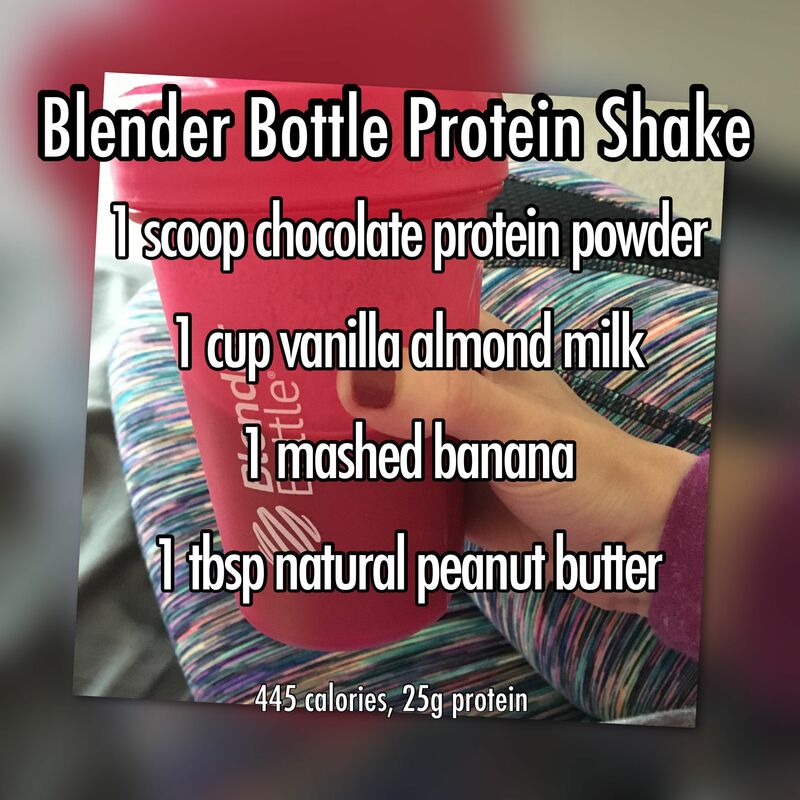 Combine the yogurt, protein powder, coconut milk and almond milk in a bottle and shake. Add the ice last so it stays cold. Is there any better combination than peanut butter and bananas? If you're looking to add some extra fruit to your shake, a mashed banana is the easiest one to mix without a blender. Try freezing a ripe banana and letting it thaw beforehand. This makes the banana even more mashed and it will be easier to mix. If you find yourself sick of your usual scoop of protein powder and liquid of choice, try out one of these recipes for an easy twist.